Meeting Rooms and Study Rooms are available for your meeting, event, or private study. Meeting and Study Rooms are equipped with white boards, tables, chairs, and access to wi-fi. Some rooms are equipped with audio-visual equipment including audio and video cables, computer hookups, and video screens. Rooms are available on a walk-in basis, if available. If you would like to reserve one of our Meeting and Study Rooms, please read the Meeting Room Use Policy and click “I Accept” below. Clicking “I accept” will redirect you to QPL’s Evanced online room reservation system to make your reservation. If you have questions about your room reservation, please contact Kim Akers at (217) 223-1309, ext 201, or calendar@quincylibrary.org. You will be notified within 72 hours of placing your room request if it has been accepted. If you need it sooner, please contact the Library directly at (217) 223-1309 ext 201 or 211. 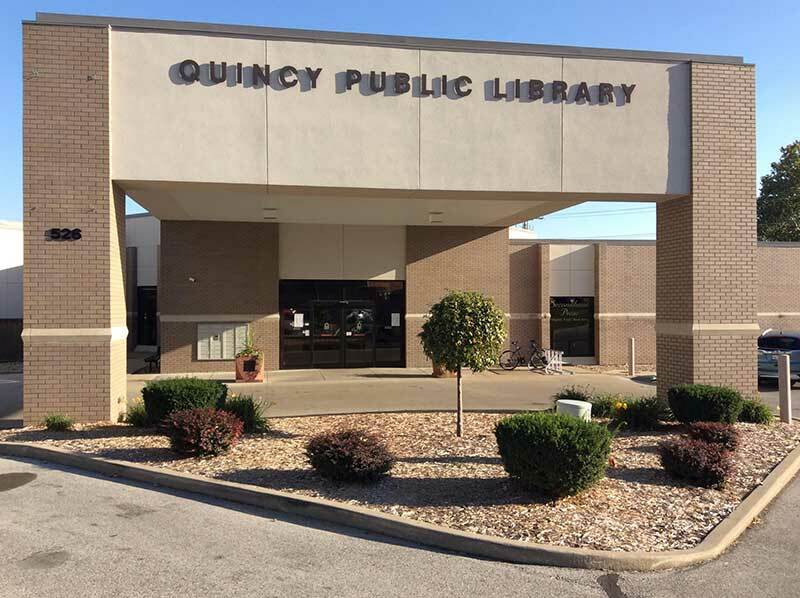 It is the policy of the Quincy (IL) Public Library (QPL) Board of Trustees to provide meeting rooms for the community as a free public service. The meeting rooms are available for public gathering of civic, cultural or educational character. All meetings must be open to the public at no charge; meetings must not be restricted to any particular group. Library meeting room use will not be denied to any person or organization because of race, creed or color. Meeting rooms may be reserved by commercial entities for training or similar events up to three hours in length at a cost of $25. Meeting rooms are not available for private social events. No admission fee may be charged, products or services sold, funds solicited for “cost-recovery” or donations accepted unless for the Quincy Public Library or Mary Weems Barton/Quincy Public Library Foundation. No more than 200 people may be in the Large Meeting Room, no more than 50 people in the Small Conference Room and no more than eight people may be in a Study Room at one time. Reservations are arranged through Administration and should be made at least one week prior to the event to allow time for notification. Reservations are not guaranteed unless confirmation from the Library has been received. Rooms may be used on a walk-in basis if they are available by making a request in the Administration Office or at the CHECK OUT HERE or ASK HERE desks. Individuals must notify the Library 48 hours prior to scheduled use of a cancellation. Failure to comply with this rule two times will result in loss of meeting room privileges for one year. Meetings must be scheduled within established Library service hours. Meetings must end 15 minutes prior to the scheduled closing of the Library. Physical arrangements of the room, equipment and seating must be planned at the time of room reservation. Library-owned equipment may be available upon request. The room and its contents must be used with care and left in an orderly fashion. 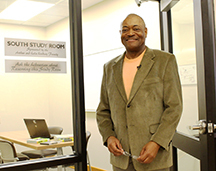 Library custodial services are provided at no charge to set up the room for a meeting before and after each public use. Smoking, use of alcohol, and use of illegal controlled substances are not permitted on Library property at any time. Snacks and covered beverages may be taken into meeting rooms but must be removed and cleaned up prior to leaving the area. The individual or group may be liable for any damages. Any group or individual wishing to reserve a room on a repeating basis must make specific arrangements. No group may reserve a conference or meeting room for more than one event per month without approval from the Library Director. Study rooms may be reserved no more than once per week for up to three hours, and no more than one month in advance. No group may reassign its use of a meeting room to any other party. A reasonable ratio of adult to minors as determined by Library staff on duty must be present in the room at all times if the meeting or program involves minors. Groups using library meeting rooms must not imply that their programs are sponsored, co-sponsored or approved by the Library, unless written permission to do so has been previously given by the Library Director. Publicity for a meeting by a non-library group should not be worded in a manner that would imply library sponsorship of the group’s activities. A statement must be included as follows: This program is not sponsored or endorsed by the Quincy Public Library. The name, address, or telephone number of the Quincy Public Library must not be used as the official address or headquarters of an organization. At all times, the meeting rooms shall be used in a manner consistent with the rights of other patrons. Groups whose meetings unreasonably disturb and interfere with the use of the Library by other patrons or who cause damage to Library property may be asked to end their meeting ahead of schedule and/or leave the premises immediately. The QPL Board delegates to the Library Director or his/her designee the authority to develop and implement procedures and practices which carry out the provisions of this policy. Exceptions to the policy may be granted only by the QPL Board or the Library Director. If permission for the use of the meeting room is denied, the applicant may appeal to the Executive Director of the Library; if the Director further denies permission and the applicant is dissatisfied with the reasons offered, an appeal may be made to the QPL Board. Groups using library meetings rooms must be ADA compliant. They are responsible for providing qualified interpreters and/or auxiliary aids upon request of persons attending their meeting.